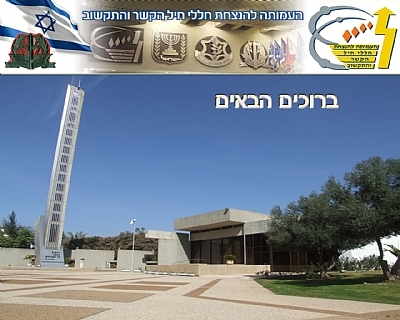 The Memorial Site for the Fallen Soldiers of the Signal, Electronics and Computers Corps was dedicated in June 1989, in Yehud, the adopting city, with the aim of commemorating the Fallen of the Signal Corps and the citizens of Yehud who fell during the wars of Israel and to inherit the spirit of the "Signal and C4I Corps" for coming generations. The Site was established by Veterans of the Signal Corps and bereaved families who formed an NFP Association with the aim of building, maintaining & fostering a site commemorating their loved ones and perpetrating the heritage of the Signal Corps. 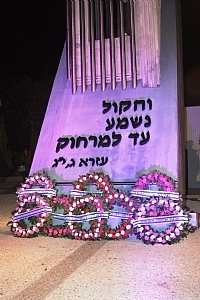 On May 2011, the Eve of the 63rd Independence Day of the State of Israel, 559 Fallen of the Signal Corps and 82 Fallen of Yehud the adopting city are commemorated at the site. 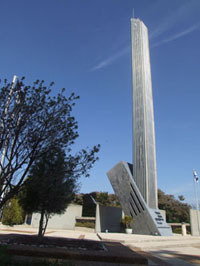 The uniqueness of the site is its daily maintenance of active and live commemoration in the areas of electronics, communications and computers, from the early morning until late at night, by means of a wide range of professional training and of activities keeping up our "esprit de corps".